Mouse on Mars are a musical phenomenon. After two decades of constant innovation and reinvention, they have lost none of their might and magic. And, just like jazz musicians, the duo seems to be getting ever more seasoned, savvy and uncompromising. 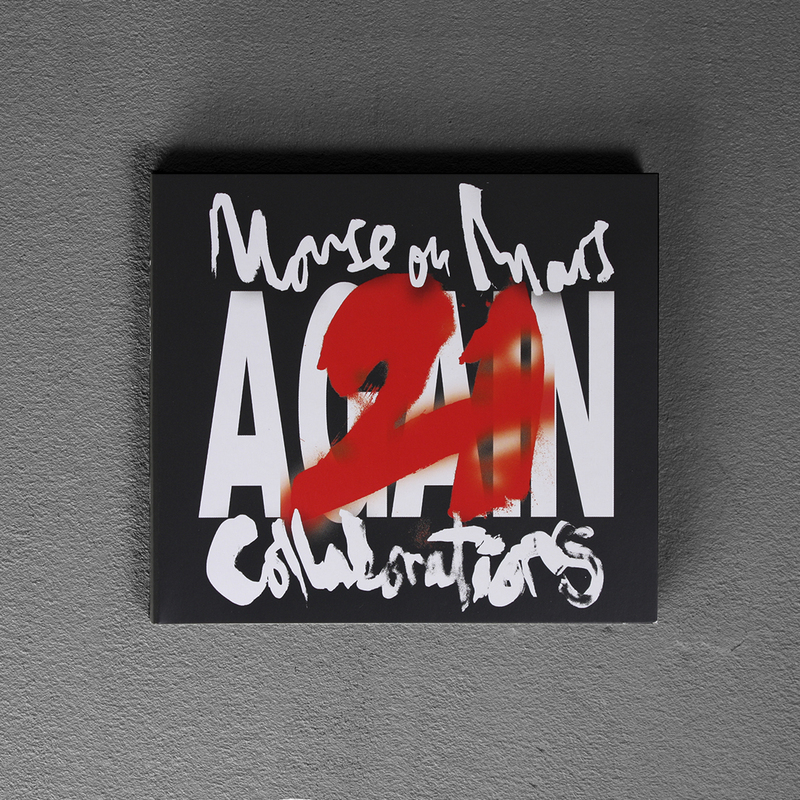 To celebrate their band history of 21 years and all those years of diverse musical activities, we are happy to present the “21 AGAIN Box Set” including milestones of Mouse on Mars' musical career. A digipak double CD + booklet with 21 collaborations with befriended bands and composers, that displays Mouse on Mars' unconventional contexts and their restless curiosity in the infinite possibilities of idiosyncratic sound research. 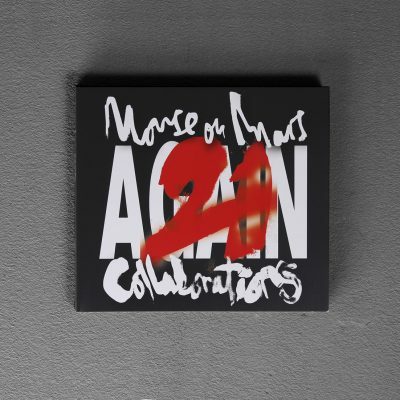 A 12” vinyl album with unreleased material and surprising versions of Mouse on Mars' songs compiled from their 90's John Peel BBC radio sessions. 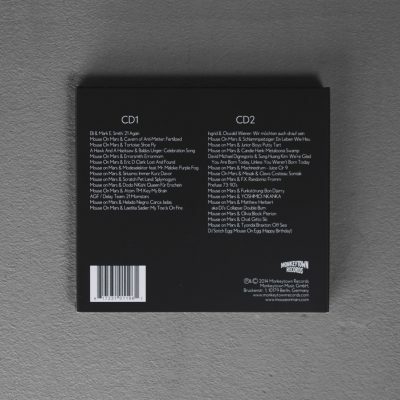 A digipak CD with unreleased gems from the group's DAT archives featuring material that was recorded even before their first album “Vulvaland”. 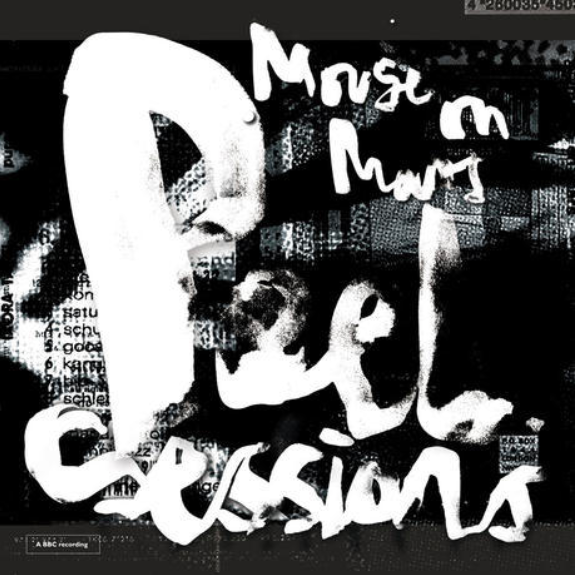 A digipak CD + booklet with orchestral pieces composed by Mouse on Mars - a studio rework of their performances at Cologne Philharmony and Barbican London as well as sessions from their paraverse 4 studios and early demos. A softcover, +- 80 pages book in a 12" format with texts from Barbican's Chris Sharp, CTM's Jan Rohlf, an extensive interview with the group plus unreleased photos and a diagram by media archivist Siegfried Zielinski. A hand drawn poster (60x60cm) by Siriusmo. How many internationally influential pop acts has Germany thrown into the mix? Kraftwerk, of course, followed by Can and the other Krautrock pioneers – Neu! and Cluster, Tangerine Dream and Faust; after that, Einsturzende Neubauten, perhaps. And in the mid-1990s, Mouse on Mars joined this select group, quickly earning international recognition for their unique blend of concept, experiment and pop. Rare is the festival of electronic or independent music that hasn’t welcomed them to the stage, and there are few producers of edgy, intelligent pop music who do not cite Mouse on Mars as a reference. They are feted as rock stars across Japan and North America, and for the past twenty years they have been packing clubs – and even classical concert halls in European metropolises. 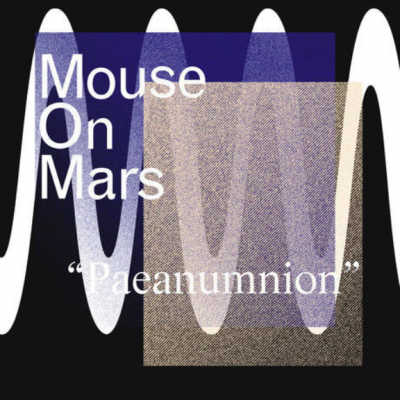 Mouse on Mars are a musical phenomenon. After two decades of constant innovation and reinvention, they have lost none of their might and magic. And, just like jazz musicians, the duo seems to be getting ever more seasoned, savvy and uncompromising. 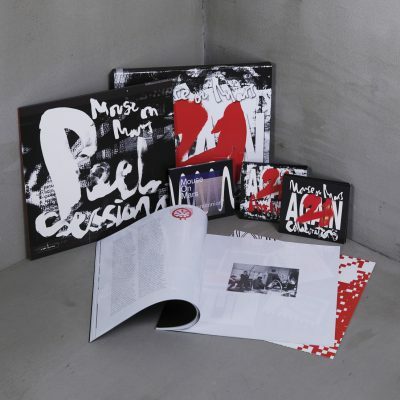 The band’s anniversary release – a compilation celebrating 21 years of band history with a bit more than 21 collaborations – seems like a logical move. 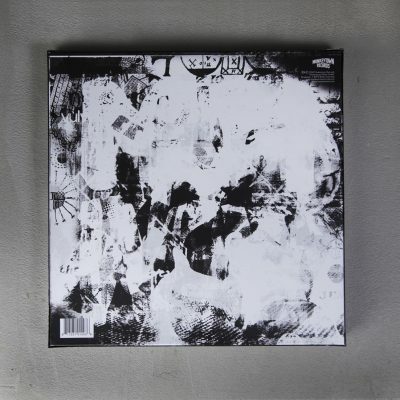 Open to outside influences from day one, Mouse on Mars’ music and approach anchors a surprinsingly malleable methodology to an unwavering vidon at the eye of the hurricane. 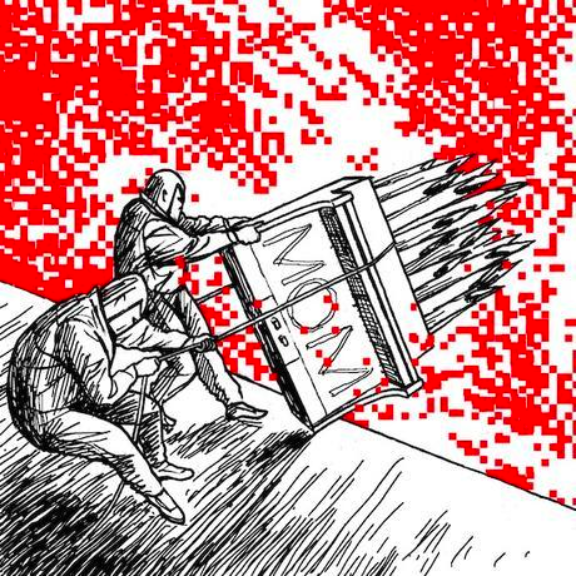 The surface of pop music thrives on change, on constant renewal, and the Mouse on Mars phenomenon fuses this mutability with a myriad of voices caught in a proliferating web of dialogue. Dialogue with their audience, with their own musical roots – and dialogue within a complex web of interdisciplinary partnerships and relationships. In this framework, theory, sound research and deep, sensual experiences are no longer mutually exclusive. And at the heart of these oscillating force fields, Jan St. Werner and Andi Toma invariably remain themselves – curious, critical and even-keeled. 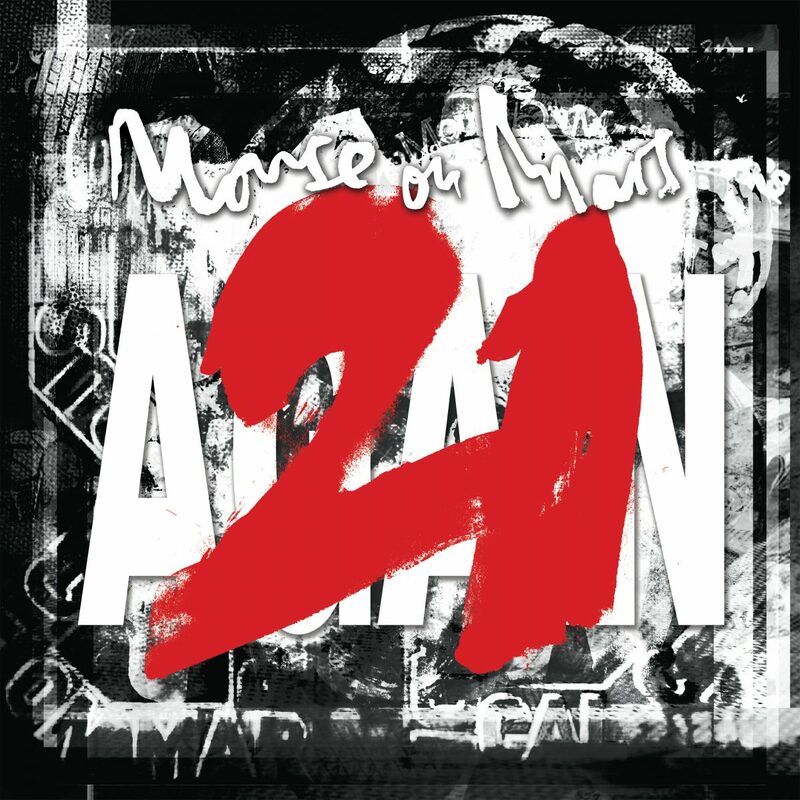 In this spirit, Mouse on Mars celebrate their „coming of age“ surrounded by 30 of their peers. 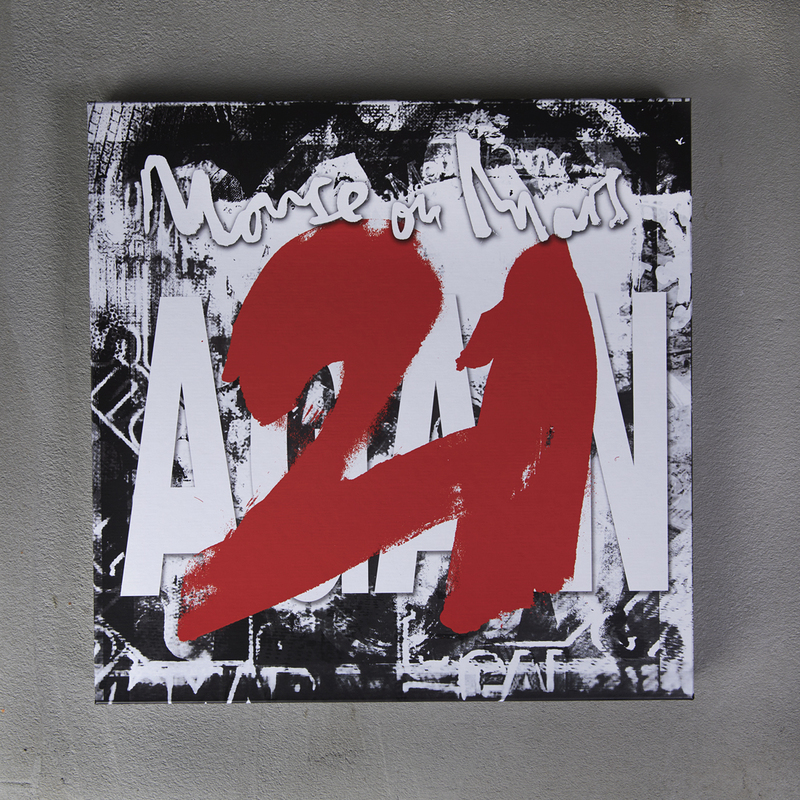 21 again sees them dabbling in laid-back disco funk with Tim Gane (Stereolab / Cavern of Anti-Matter) or spinning jittery dream pop with Scratch Pet Land. Their collaboration with Candie Hank spawned a kind of desert polka, while Modeselektor and Puppetmastaz inspired anthemic hip-hop excursions. Tortoise and Laetitia Sadier take the duo into neo-post-rock territory, Eric D Clark supplies radio-friendly song-writing skills, Funkstörung – reunited for the occasion – deliver broken funk while the song with Junior Boys reinterprets R’n’B as a holographic genre. 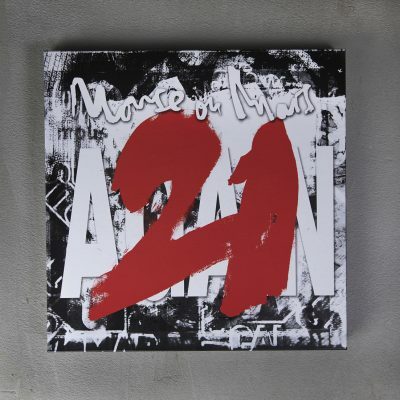 21 again is an ode to joy and to the friends of the band, yet also an homage to constant dialogue and diversity. This willful diversity might cause confusion – but the band’s identity is more about process and agility, than any clear-cut self-image. Toma and Werner define their music and themselves through friction and interaction; they freely put their concepts to the test and up for discussion. They each find their reflection in the other, practicing a kind of interactive magnetism. And yet – despite this highly attentive adaptability – a Mouse on Mars sound does exist. There is an immediately recognisable musical signature, conjured up despite the duo’s wealth of different projects and connections. 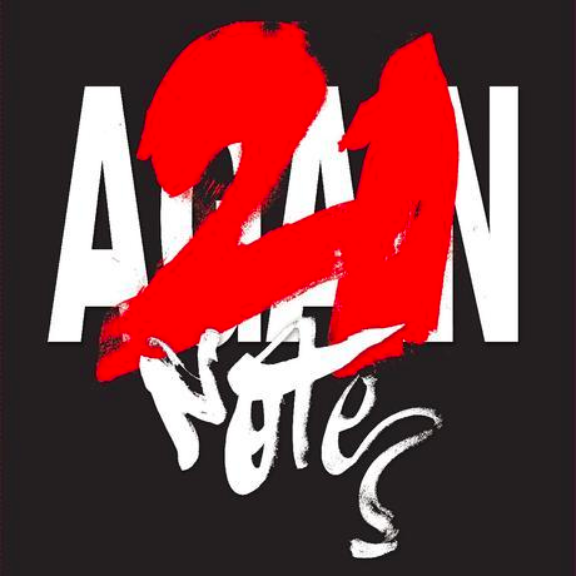 Many different voices, speaking with and over each other, are part of this signature style, complemented by a radical nonchalance and unshakeable anarchy that leaves few musical moves unincorporated. Each noise, each sound, each shattering beat comes with its own comment. Comments that take any shape or guise – a rhythmic hiccup, a wow and flutter in the harmonic arc, an unexpected melodic fragment, a subliminal scratch or two. Mouse on Mars tell us “not to take it all too seriously”; after all, anything could change any minute. Ladies and Gentlemen, please celebrate the 21st century with Mouse on Mars.